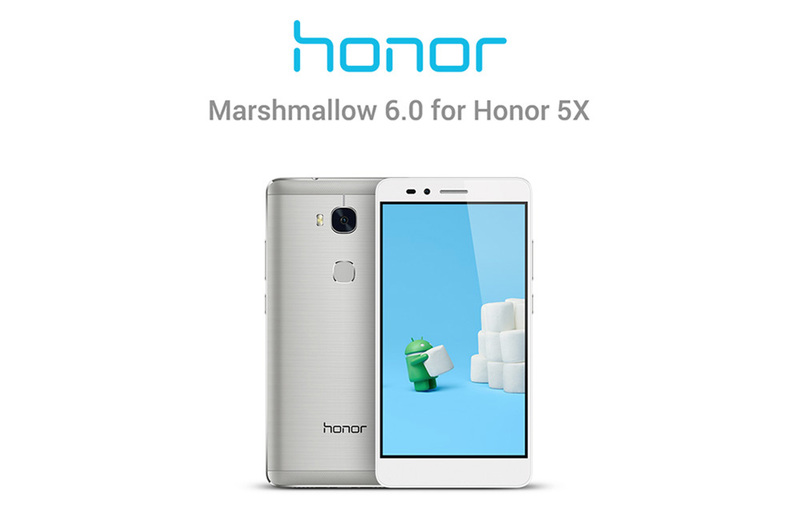 The Honor 5X, a budget-friendly phone in an unlocked package worth considering at its $199 price, is receiving an update to Android Marshmallow today. The update also include the latest skin from Huawei (Yep, they own Honor), also known as EMUI 4.0. Thanks to the update, owners of the Honor 5X will get access to Google Now on Tap, more powerful voice interactions, Doze mode, simplified volume controls, and a new open apps menu. On an EMUI 4.0 front, the new skin on top of Marshmallow, users will get new motion controls, a customizable navigation bar, drag actions, a one-hand mode, and a bunch of other tweaks. Get assistance without having to leave your app. No matter where you are in the UI, simply press and hold the home button to call up Google Now. It’s smart enough to know what you’ve been doing and is ready with suggestions. You can now have a dialogue with any of your apps, so long as they support the new voice interaction service. From looking up information online to playing a specific song, your voice has the power to do whatever it is you need with the Honor 5X. When your device or open apps aren’t in use, Marshmallow automatically goes into a deep sleep state, increasing your standby battery life. Manage your notifications, music and alarm volumes quickly and easily. Simply toggle the up or down volume rocker wherever you are. The new look and feel of the open apps menu feature allows you to easily scroll through all your open apps and make a selection, dismiss or (with EMUI 4.0) dismiss all at once! An easier way to access your phone. When your screen is on standby, touch the screen in various motions to initiate different functions. Draw an “M” on your inactive screen to open your music app. Double-tap from a dark screen to wake up your phone. Flip your phone over to mute incoming calls, timers and alarms. Perfect for snoozing! Personalize your navigation experience by customizing the order of icons in your navigation bar. You also have the option to add a notification panel icon. With so much information on your phone, shortcuts are the key to help you get things done. Drag actions make it easy for you to view and hide the important things. Drag top down on left side to show notifications. When you drag top down on the right side, you’ll see your shortcuts. The One-Hand Mode alters the UI to make using your device with a single hand much easier. Simply swipe left or right at the button of the screen to use the phone with your left or right hand only. We’ve also included additional features to create a smoother and efficient experience in the Honor 5X. Pinch out on an open screen to quickly show any of your hidden apps. Pull down on the open Home screen for a quick, universal search of apps, contacts and messages. Instantly add apps to your folders. Simply press the “Add” button in the folder and checkmark the apps you’d like to include. EMUI 4.0 shows the battery percentage next to the battery icon so you know when it’s time to recharge! To grab the update, head into the Settings app on your Honor 5X and head into the Update tab.